Member of Seimas of the Republic of Lithuania and Deputy Chair of the Homeland Union-Lithuanian Christian Democrats (TS-LKD) Political Group in the Seimas, Radvilė Morkūnaitė-Mikulėnienė, together with colleagues parliamentarians from other Baltic States: Members of the European Parliament Sandra Kalniete (Latvia) and Tunne Kelam (Estonia) and Members of Riigikogu, Tarmo Kruusimäe and Raivo Aeg, addressed with a letter to the American electronic commerce company Amazon drawing their attention to t-shirts and other items featuring soviet symbols being sold on Amazon.com online platform and calling to stop the sale of such products, a TS-LKD press release states. The Baltic politicians express their deep concern, that Amazon provides a platform for producers who do not respect the memory of victims of soviet totalitarian regime. According to the parliamentarians, sales of such items hurt the feelings of Baltic States' citizens, who endured repressions of totalitarianism. They remind, that in the Baltic States, who were under soviet occupation for half a century, as also in other countries, the soviet symbols are banned, the same way as those of Nazism, another totalitarian regime. According to R. Morkūnaitė-Mikulėnienė, "We have addressed the Amazon Inc. regarding these products, because, essentially, their sales demonstrate an aim to make profit while ignoring millions of people, who lost their lives or suffered torture, imprisonment and deportations, as well as their family members and their descendants. Totalitarian regimes are evil and have no justification. Therefore, such thoughtless commercial use of soviet symbols is not only morally and ethically unjustifiable, but also is instrumental to denial of crimes committed by the totalitarian regime and glorification of the soviet empire." The Baltic politicians emphasize, that use of soviet symbols also is hurtful to vast diaspora in the United States. They also remind, that on 6 November, on the occasion of the National Day for the Victims of Communism, the White House issued a Presidential Message, thus, leading at the highest state level the commemoration of more than 100 million people who lost lives under oppressive communist regimes. 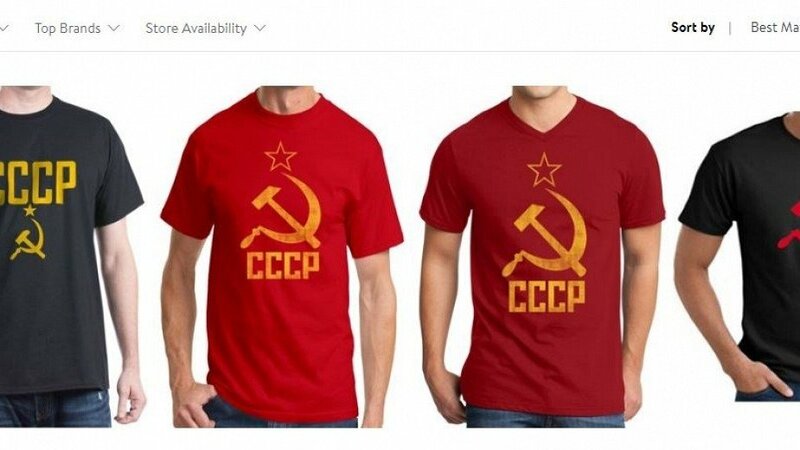 The authors of the address call on the company to demonstrate corporate responsibility and respect for the memory of victims of the soviet regime and immediately cease selling on their online platform the items depicting soviet symbols. 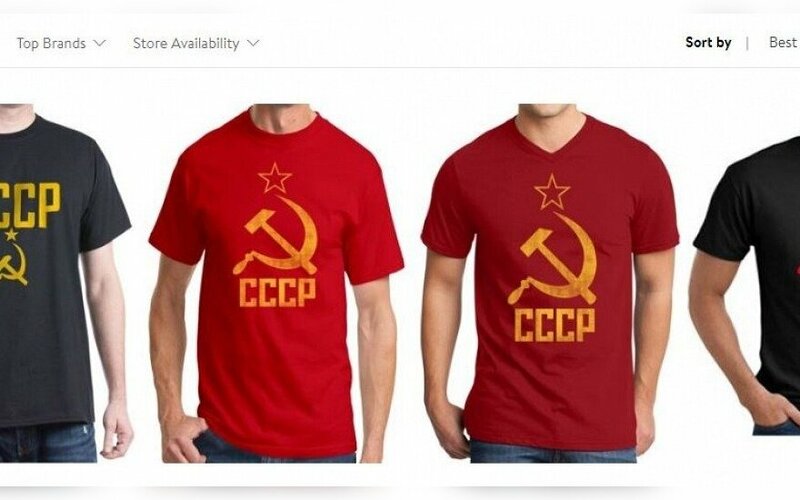 Several months ago, the Baltic politicians have addressed another USA-based retailer - Walmart Inc. - regarding similar items featuring soviet hammer and sickle, fife-pointed star and letters CCCP/USSR being sold on their online store. After some time, Walmart informed that they will stop the sales of these items. Culture is becoming a tool for antagonistic state propaganda. How can we protect ourselves?